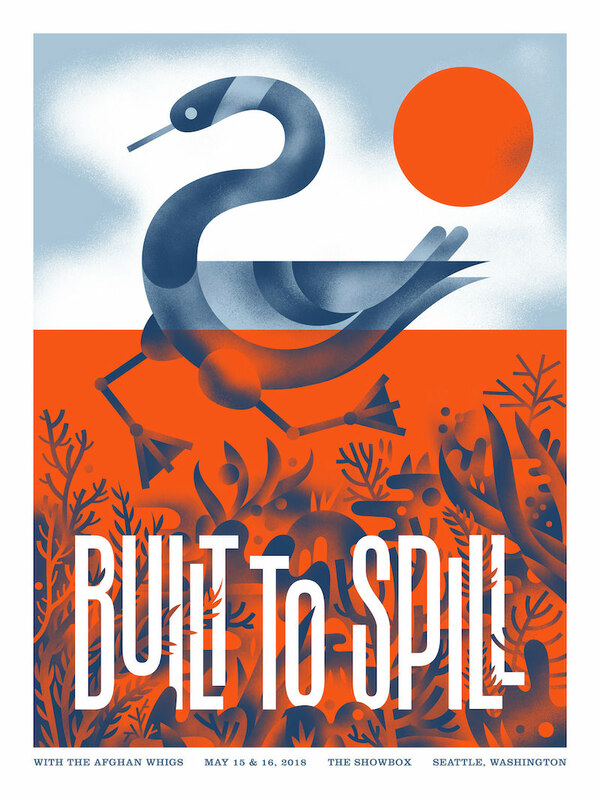 Aren Vandenburgh has two incredible gig posters for Built to Spill and The Afghan Whigs. 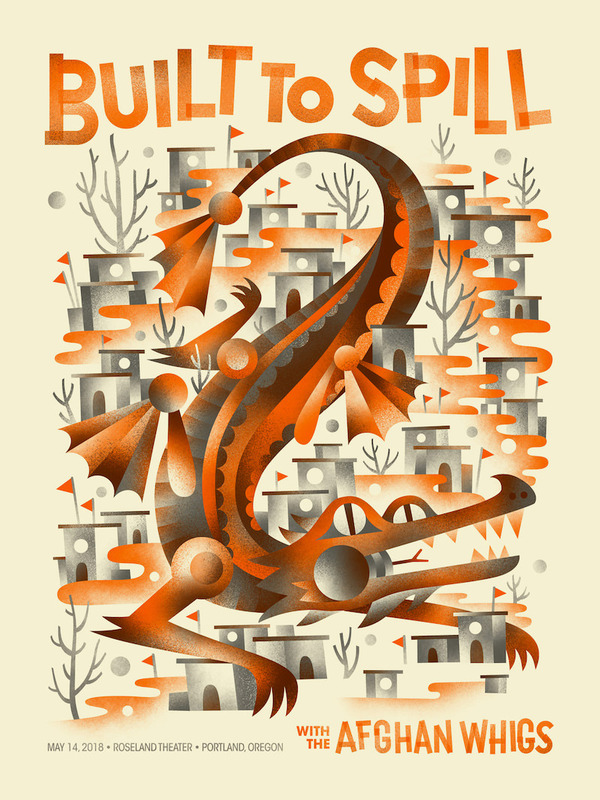 Both are 18″ x 24″ screenprints, have AP editions of 35, and cost $35 each. Visit his shop.